2:20 – Our attention spans have dropped dramatically over the years and people don’t have time to learn the skills they need in this rapidly moving economy. 14:10 – What’s Michael’s thoughts on Silicon Valley? 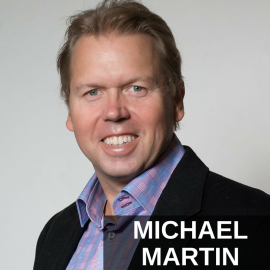 It’s my pleasure to welcome Michael Martin to the show. He is the co-founder and CEO of a fantastic new app, I’ll guess I’ll say it’s a company of course, but it’s called Audvisor, like audio advisor. I was very happy to be able to participate in this and provide some insights for them, that’s what they call it. I think this is kind of like the Pandora of education. It’s a really, really neat concept and I just want you to hear more about it from two ways you might be a content contributor and certainty you want to be a listener and a user of the application as well. Michael, welcome, how are you? Thanks, Jason. Doing fantastic and again I just sent the seal offline, but thanks so much for being apart of this. The expert pool and we’re all really excited about what Audvisor’s future is here. I think you’ve got a really, really neat idea. I compliment you on that and I’m glad to be apart of it. So, what is it? Explain it to the audience. I said it was the Pandora of education, but you’re going to do better than that, I’m sure. Yeah, well, we’re actually even coining it as the first push button learning app for smart phone that’s out there, so you’re right, I mean, we came up with the name because Audvisor, sensory or audio advisor, the way we kind of got this thing started is my partner, the other co-founder of the company, Rajesh Setty, he came to me a few years ago with a disturbing statistic that one was the attention span is dropping by a dismal rate, but also he found through working with other companies such as Audible, that people were listening to non-fictional books less and less and as the, you know, you look at Twitter and Facebook and everything is done in short little bits anymore and our society has become accustom to actually living in that way. In fact, you can’t even play Scrabble any more, it’s all Words with Friends or Chess is done one more at a time over the course of a number of days or whatever, but the one aspect that hasn’t really kind of moved is the aspect of learning. Learning is still kind of stuck in either go to an institution and consume large meetings whether you’re going to seminars or reading your books or then it moved to the internet where you’re doing a lot of research, but it just takes a ton of time to actually do that and what’s happening is people really just don’t have the time to do that and they want to learn, they need to learn, they need to grow. Incredibly competitive landscape right now. Look at the jobs, people are competing with jobs. I just interviewed for a, had an office manager position and I got 250 resume as an example. So, how do you separate yourself out from that? It’s amazing that we have some insights and if I could have given some of these people that interviewed for the job some advise, I mean, just short pieces of advice, it would have made all the difference in the world and had actually an outcome. So, I think whether you’re a seasoned professional or a CEO of a company or you’re in between jobs, I think Audvisor offers that that one tool that it can give you, that one piece of advise that can make all the difference in the world in how you approach that particular situation. So far the app is pretty much, it appears to be an on-demand app. I mean, you just launched, so I’ve only used it several times now so far, but it appears to be you just pick the topic or the expert and you start listening to some of their short content, their short insights, if you will, and what are those? Limited to three minutes? Yeah, they are limited to three minutes and the three minutes is not something that we just pulled out of our hat. I mean, what happened was, in fact, I think YouTube did a study and they found that people’s attention span weighed considerably after 2.7 minutes. So, that’s why we actually we picked the three minute mark. Yes, to your other point, when you download the app and as you can see, when you do download the app, the very first thing that actually comes up is the insight screen, so what you don’t see behind the scenes is the recommendation engines that works instantly. So, the first thing it’s doing it’s actually feeding the top rated insights to you and then you start listening to the insights, as an example, you start navigating and listening capitalize on social media or marketing or whatever that is, it’ll learn how you’re actually using it, what topics are interesting to you and then soon as you re-open the app it’ll start feeding you those top rated insights in those categories. I’m curious. How do you do that? I mean, certainty recommendation engines have been getting, this is kind of a big thing nowadays, you know, I don’t know how long it’s been around. Do you have to program all yourself and create your own algorithm or is that an off-the-shelf product you can buy and integrate to your application? Yeah, that’s a good question. First of all, my background happens to be in artificial intelligence and computer science, so I actually and personally developing the actual recommendation engine. You’re a geek, right? You’re a programmer? In the past. I’m more of a business guy. I mean, I haven’t programmed anything in quite some time. It used to be in the past that if you said someone was a geek, they would be insulted, now they’re gratified. I love it. I mean, Mark Zuckerberg is a geek, right? Who wouldn’t want to be him? So, the recommendation engine is a very kind of a tricky thing because, I mean, I’m filled with analogies, but as an example if you walked into a steak house just to meet somebody for a drink and then walked out of the steak house, I can’t make that assumption that you just love steak, you might hate steak. You might be a sushi person, but just because you actually visited that one restaurant that one time, doesn’t necessarily mean that’s what you like. So, we gotta be very careful, because there’s nothing worse in opinion than, you know, having somebody feed me information that is nothing to do with what I’m really interested and actually, you know, looking at or listening to, so I think the key here is to kind of keep it simple stupid. You crawl before you walk and walk before you run, so initially it really comes down to – in the beginning we listened to all the insights and the experts and we essentially we rated the insights internally and then what happens is that, because you gotta start somewhere, so then what happens is that once now tht the product is out there and people are starting to use it, our influence internally comes less and less to the point where it’ll be almost zero and really we let our audience actually speak to what is the top rate insights and the experts and we feed those insights at that time. So, we’re not at that point, because we don’t have enough data out there as of yet, but that’s where we’re heading. Can to share any of your plans? I mean, how will this evolve? Yeah, I mean, ultimately what we’re going for is that Audvisor would be the advise platform of choice that people will go to, so right now as you can see when you open it up and you go to the top, you’ll see all the different professional topics that are there, but as we move forward, I mean, life is so much, you know, beyond what just work aspects and that kind of thing are, so going forward you’d see professional, as an example, and then maybe the next topic will be teens, the next one will be parenting, the next one might be something for addicts or even frankly people going through breast cancer. Imagine in that particular case the experts would be woman that have already gone through breast cancer and can give great advise to women who have just got diagnosed and how do you get through with your family and how do you deal with that, so again, I see just a ton of different avenues that this can go. Again, to being the advise platform of choice for our audience. How did you think of it? How did you and Rejesh think of it? Did you see something else in the market place or did it just come out of thin air? Where did the idea come from? Well, the idea actually came from Rajesh when he came to me and we sat down at a coffee shop and he explained to me, again that problem, where people were listening to audio books, non-fiction audio books less and less and he showed me the statistic of it how it’s going down, but it just so happened that we were at a coffee shop and as he was telling me the story I’m looking around at everybody and I’m seeing not one person was not on their smartphone doing something, right, even if they’re talking, they were saying a few sentences then they would do something on their smartphone, so it’s obvious that we’ve grown to a point where we live in a bite-sized fashion. We do snacks versus meals and we’re no longer in a world of doing things in big chunks, so therefore I think we messed around with it for a little bit and what is the solution for this because I think there’s an opportunities and that’s how we came out with Audvisor. No, I’ve been an entrepreneur for a number of years. In fact, I am an investor as well. I have invested in Rajesh, a couple of his other projects in the past, and we’ve always threaten to actually work together, but I’m also the founder of a company called Intelaphase and before that Valid Solutions, which is actually is a consulting services firm. So, yeah, I’ve been an entrepreneur now I’d say for the last, I guess, 14 years. Let’s talk a little bit about your entrepreneurial journey if we can and if you have any advise, Audvisor advice, to any of our listeners as to, you know, what they can do to be more successful as entrepreneurs. Well, the one thing is that you have to A) believe in yourself when nobody else does, right, believe in your idea, but also have a realistic view of what you’re looking at. So, if you’re thinking, as an example, that you like ketchup on cereal and so everybody’s going to like, you know, ketchup on cereal, and you see that mistake happen over and over again that, entrepreneurs, fall in love with what their product is because, you know, they like it, but they don’t take their self out of the scheme and look up and say, “Is this a real business?” It might be a good idea or you might particularly like it, but you know, people aren’t going to be pouring ketchup on cereal. It’s not a good idea and you have to wake up and know that’s not a good idea. On the other side, in the beginning especially with Audvisor, people would say, you know, well, why would I want short little tidbits of advice, three minutes, when I can actually listen to an entire book, right? So, you’re not going to convince everybody and there’s going to be arrows and everything like that to actually go by and to duck away from, you know, then you can shake a stick at. So, in that particular case surround yourself with people that believe you in your idea, but also keep making sure that it is a business and it’s not just a hobby and you can actually, you know, monetize this as well. Did you raise money for Audvisor or are you boot strapping it so far? Yeah, no, what happens was a friend of mine he was a gentle partner over at Khosla Ventures and matrix partners and allies with Formation 8. He called me because I approached him about this idea a couple of years ago and we went out for dinner and he basically said, hey, I love the idea, I’d love to be the first investor, so he wrote the first $200,000 check and then, you know, frankly a lot of the other guys are my golfing buddies, you know, the next one was a friend of mine Ray Beshoff from Beshoff MotorCars, he owns a few Mercedes dealerships, but he invested over the phone and without seeing anything just over our conversation and that’s what started the ball rolling, so I think a lot of it is, you know, one people believe in the idea, but then they also have to believe in you and trust you’re going to make something happen. So, there’s a lot of pressure on me, because I probably have to move to Siberia if this doesn’t work. If you don’t like cold, there’s other places you can go besides Siberia. If you want to get out. Good stuff, yeah. You’re in Silicon Valley, right? Yeah, we’re headquartered in Cupertino right down the street from Apple. Yeah, I’ve heard of that company, by the way. I think they are coming out with a watch. Tell us a little bit about the Silicon Valley, if you would, and maybe what some of our listeners can learn from the entrepreneurs there and so forth, just any other tips on that. I think I get asked this because I’m actually originally from Philadelphia and I always get, you know, if you ever going to move back to Philly or Pennsylvania or back east, that kind of thing. The one great thing about Silicon Valley that you’ll find is that people are not afraid to fail and because they’re not afraid to fail, you’ll see Silicon Valley continually re-inventing itself, because I have some bad things/good things and it’s okay to fail, it’s okay, you know, you see people trying to start something, it’s just not okay not to try. You don’t find that, people might say things like that or whatever, but culture is not really inbred in anywhere else in the world as it is in the Silicon Valley and that’s the thing, you go out, yeah, you’re with this company, you know, how did it go? Well, we got a little money, but it didn’t work out, but then that actually morphed into this other and now this thing is actually working. You would have never gotten to that second step if you didn’t go to the first step. So, that’s why I think it’s, if you have a great idea, it’s one thing to have a great idea, it’s another thing to actually put it in action and execute upon and don’t be afraid to fail. You know, i think that stigma, I was just talking to another guest today about that, that stigma is being quickly removed, the failure stigma. We live in this very kind of alchemic economy where things happen really quickly and you can, you know, prove or disprove an idea really quickly and inexpensively now, right? It’s largely apart of the Eric Ries and the Lean Startup concept where you can, you can persevere and you can make mods really quickly and course corrections really quickly, right? That’s right. I mean, one of our experts Tom Chi, he is the founder of Google Glass. Yeah, I got to hang out with Tom quite a bit in Puerto Vallarta at that conference we were at. He’s a great guy. So, I wanted to really develop something that’s not really out there. It’s a little bit different, but it’s so intuitively obviously to use it, anybody can use it. You may have to wow people with the experts and wow, you’ve got Seth Godin and Tom Chi and you have Jason Hartman, that’s absolutely fantastic, and then the insights have to wow people and the experience has to wow people, so unless you’ve actually hit all of those marks, I don’t think that you can actually, you know, say you’ve actually hit your goal and that’s what our goal was. We’re not there yet 100%, but we’ve done I think a pretty good job for coming out as a 1.0. Well, this is great Michael, thank you for sharing some of this stuff with us. Give out any websites you want, I mean, Audvisor.com. That’s exactly right. Audvisor.com. Feel free to come out, check out the app, please write some reviews, and join our Twitter feed, we would just love to hear from everybody about the app and your ideas of what you like about it, even if you have suggestions for improvements, we’d love to hear that as well. Where can they find you on Twitter? @Audvisor. Okay, great, good stuff. 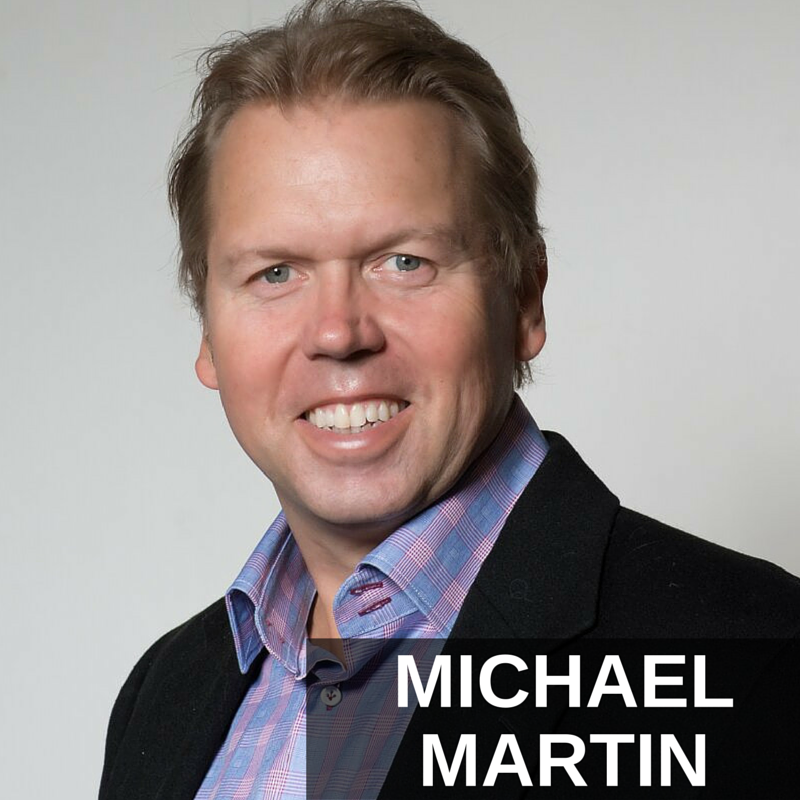 Michael Martin, thank you so much for joining us.